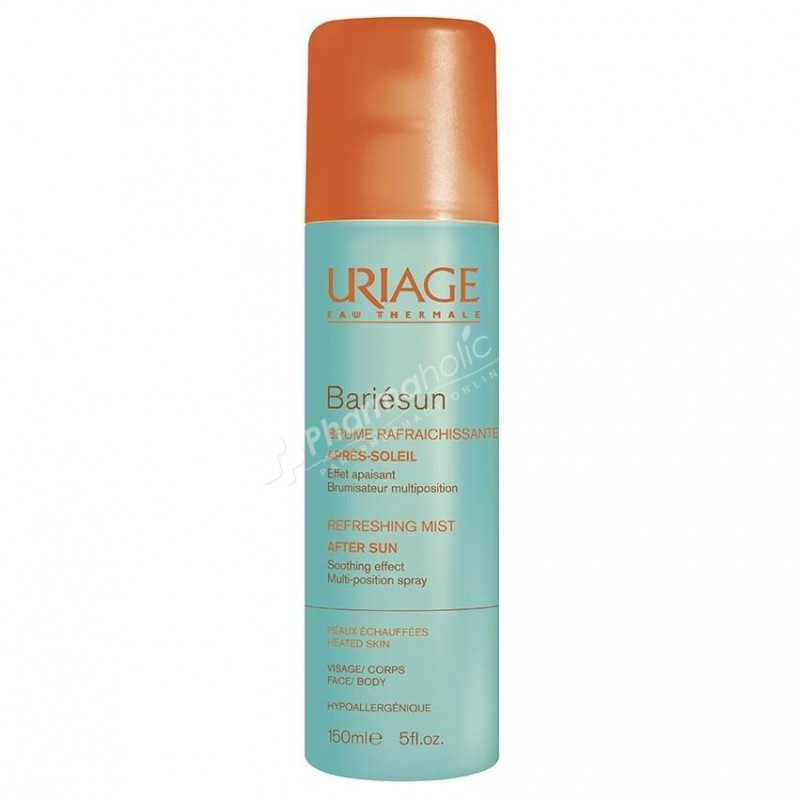 Uriage Bariésun Refreshing Mist After Sun delivers an immediate sensation of freshness and relief to skin that is overheated and dried out by the sun. It completely rehydrates the skin, prolonging a golden tan. Delicately scented, this mist delivers an immediate sensation of freshness and relief to skin that is overheated and dried out by the sun. It completely rehydrates the skin, prolonging a golden tan. Aqua, Uriage Thermal Spring Water, Dicaprylyl Carbonate, Hydrogenated Polydecene, Cetearyl Isononanoate, Ceteareth-20, Glycerin, Glyceryl Stearate, Nitrogene, Phenoxyethanol, Brassica Campestris (Rapeseed) Sterols, Glucose, Ceteareth-12, Cetearyl Alcohol, Parfum (Fragrance), PEG-40 Hydrogenated Castor Oil, Dimethicone, Methylparaben, Propylparaben, Tocopheryl Acetate, Chlorhexidine Digluconate, Stearyl Glycyrrhetinate, Trehalose, Citric Acid, Ascorbyl Tetraisopalmitate, Nitrogen.